This nine day class will be a drawing intensive class. Students will meet for one full day of preparation at USM in Portland, including a full afternoon lecture and demonstration in some experimental drawing techniques, and then spend seven days at Schoodic Institute, at Acadia National Park, in Winter Harbor, Maine. Class will meet for two four-hour sessions each day. Students will draw in nature, from nature, with natural materials, and with an assortment of media and materials not necessarily associated with traditional drawing. 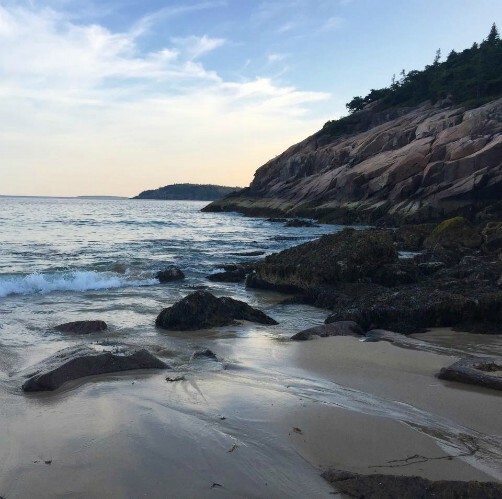 One day will include a trip to Bar Harbor and other parts of Acadia National Park to draw on site, and to visit the Abbe Museum, a museum of history and culture of the Wabanaki people. Some information about the history of landscape artists in the region will also be provided. Students will be required to do a final drawing for this class that will be due in mid-August. An exhibit will be hung in Kidder Lounge on the USM Gorham campus, and a final critique will take place at that time. Students will be housed in shared dorm or apartment type rooms at the Schoodic Institute and will be provided with three meals each day, dinner on the day of arrival (June 14, 2018) and breakfast on the departure day (June 21, 2018). The approximate program fee will be $1,300-$1,500 plus tuition. Transportation to the Schoodic Institute is not included.